Learn about the new and changed features of Oracle SOA Cloud Service. IP Networks is enabled for Oracle SOA Cloud Service. Only the new compute zone zones in the regional data centers are enabled for IP Networks. If your identity domain does not have access to one of these new zones, submit a Service Request to Oracle support and request it be added to your identity domain. Note that the IP Reservations functionality is not yet enabled. See About IP Networks in Using Oracle Compute Cloud Service (IaaS) for general information about IP Networks. WebLogic Server version 12.2.1.2.1 is supported in this release. 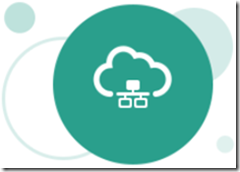 Want to try SOA Cloud Service? Get access here.